CVS Caremark takes great pride in its commitment to diversity and inclusion. The company’s unique approach to diversity management sets it apart as a global leader, providing tools and resources that enable CVS colleagues to manage diversity and fully integrate it into all aspects of their daily lives. This vision of strategic diversity management requires the company to consider diversity in all aspects of the enterprise, including workforce representation, colleague engagement, talent systems, and the marketplace. CVS Caremark’s Colleague Resource Groups (CRGs) are valuable resources to both colleagues and external partners. CRGs focusing on disability issues, as well as the needs of veterans, help the company collaborate with local, state, and federal governments, community-based organizations, and other companies to educate, equip, and empower CVS Caremark colleagues and community members to reach their full potential. The company will continue to leverage CRGs by hosting training sessions and participating in recruiting events such as Hiring Our Heroes. Initiatives for 2014 will include the integration of newly revised federal regulations regarding equal employment opportunity and affirmative action for veterans and individuals with disabilities. 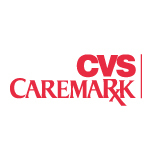 CVS Caremark also benefits from the efforts of its Workforce Initiatives (WI) team, which have yielded hundreds of community-based, faith-based, local, state, and federal partnerships, as well as tens of thousands of employment opportunities for people who may not have otherwise found jobs. The WI team provides training, support, and a welcoming environment that leads to permanent employment opportunities with the company. The team is also spearheading ongoing efforts to increase the number of veterans, guard members, and military spouses CVS Caremark hires nationwide. In turn, the company benefits from increased colleague engagement, better retention rates, and higher productivity—a win-win situation that will continue in 2014. Enjoying longstanding relationships with partner organizations, CVS Caremark’s CRGs and its WI team demonstrate the company’s commitment to identifying diverse talent pools and opportunities for employment that benefit the company, the CBOs, and members of the broader community. The company’s strategic approach to diversity management will continue to result in a workforce that reflects the communities in which CVS Caremark professionals live, work and do business.